The method of science presupposes the truth of the Bible, beginning with creation. The universe is not an accident. God created it, imposed order on it, and upholds the universe by His power. Consequently, the universe exhibits patterns. There are laws which describe the consistent way that God upholds nature. God has instituted cycles in nature, and has promised that these cycles will continue in the future as they have in the past. God knows the future because He is beyond time. Furthermore, God has created mankind in His own image, after His likeness. Humans therefore have the capacity to think – in a finite way – some of God’s thoughts. Since God’s mind controls the universe, and since the human mind is able to reflect God’s thinking in a finite way, it stands to reason that the human mind would have at least a limited capacity to understand the universe. Furthermore, God made our eyes to see and our ears to hear. Baring any damage to these structures, we can trust that they function in the way God designed – that what we see and hear corresponds in some way to the external universe. Our senses are basically reliable in what they inform us about nature. As a result of all these things, the Christian has good reasons to accept the scientific method. We have good reasons to believe that the senses are basically reliable. Therefore, we can use these senses to probe the external world. We expect to find patterns in nature as a result of the God who placed them there. We trust that God will uphold the universe in a consistent way for our benefit. So if the particular circumstances are sufficiently similar, we expect to get a similar result. Therefore, we can distinguish patterns from isolated incidents through repeated experimentation. We expect that our mind has the capacity to draw rational inferences from our sensory experiences, since we are made in God’s image. We have access to laws of logic, tools of reasoning that reflect God’s thinking. Science is therefore the study of the predictable and consistent way that God upholds His universe. It is possible because God has created both the universe and human beings such that the later can probe and understand (to some extent) the former. If the nature of man and the nature of the universe are what the Bible says they are, then it follows logically that science is a reliable method for uncovering patterns in nature. Contrast the above with the evolutionary worldview. Evolution in the neo-Darwinian sense is supposed to explain how life could arise by natural means. The big bang likewise attempts to explain how the universe came to be the way it is today without invoking God. The universe is supposedly unplanned, not designed by intelligence. Why then would we expect it to be organized? Why expect the universe to obey laws when there is no law-giver? Why expect to find rational patterns in nature, if nature is an irrational accident? In the evolutionary worldview, human beings are also an accident of nature. Unplanned, and not designed by any mind, the human form allegedly came about as unthinking organisms accumulated mistakes in their DNA. Granted, most of these mistakes resulted in harmful traits, many of which led to death and as such were not passed on. Those mistakes that improved the survival and reproductive success of the organism were preserved, and passed on. In the evolutionary view, the human mind and body are merely a collection of mistakes, chemical accidents, with no mind behind them. Why then would we expect that human beings have the capacity to do science? Why expect that the human mind would have the capacity to be rational, if it is a non-designed accident of nature? Why expect that our sensory organs are basically reliable if they have no designer but merely resulted as the chemical outworking of copying errors in the DNA? Why should we expect any relationship whatsoever between the mind of man and the external universe, if both are unplanned accidents? How might an evolution devotee respond? “Well, our senses are reliable because of natural selection. Nature guided their development.” There are two severe problems with such a view. First, natural selection does not guide the development of anything at all. It simply refers to the removal of those cases that were unsuccessful. Think of it like a roll of the dice. What are the odds of rolling ten dice and all ten of them landing with “six” facing upward? The odds are one in sixty million. Not very good odds. So, let’s try to improve the odds by adding in natural selection. In all cases where all ten dice do not land with six facing up, we will destroy them by throwing them into the furnace. Now what are the odds that all ten will land with six facing up? The odds are still one in sixty million. They haven’t changed at all. Now consider all the beneficial, information-gaining mutations that would have to occur in order to turn a single-celled microbe such as bacteria into a person. The odds are far worse than one in sixty million. But many people have the impression that natural selection has improved those odds. No. It simply refers to the removal of the failed cases. Natural selection cannot “guide” evolution. Second, even if there were some guiding mechanism that improved the odds of mutations which increased survival value, this in no way justifies our belief that our senses and mind are reliable. People have the impression that reliable senses would correlate with survival value. After all, if our senses accurately inform us about the external world, we are less likely to fall off of a cliff, or run toward a fire. That seems reasonable after all. Evolution makes a lot of sense until you stop and think about it. First of all, many false perceptions and beliefs would have positive survival value. Suppose that when we see a steep cliff, our eyes interpret it as fire. This incorrect perception would likely help us survive. How do we know that all our perceptions are not like this? How do we know that what we perceive is pure fiction, and yet produces responses that have survival value? It should be obvious that reliable senses are not, in general, required or even helpful for survival. Most organisms on earth do not have senses at all, let alone reliable ones. Consider a blade of grass. Grass has survived and reproduced far more effectively and abundantly than people; yet it has no sensory perceptions at all. Indeed, the addition of reliable sensory organs to a blade of grass would reduce its survival value, because they would expend energy and would be of no benefit to an immobile organism. “But we are not like a blade of grass. We are mobile creatures where accurate sensory organs can help us survive.” But this begs the question. How do you know that you are a mobile creature and not a blade of grass? Obviously, we cannot appeal to our sensory experiences as the proof of this since our sensory experiences are the very thing in question. How could an evolutionist possibly know that his sensory experiences are not actually just a byproduct of photosynthesis? How can he know for sure that he is not a blade of grass? I suggest that the evolutionary worldview offers no escape from this epistemological dilemma. There is absolutely no reason whatsoever to think that humans would have the capacity to probe the universe or reason rationally if we are not designed, but merely a chemical accident. And since our abilities to reason and to perceive the external world are essential to science, the scientific method would make no sense in an evolutionary worldview. It would be unjustified. In the secular worldview, it is not only the human mind that is a non-designed accident of nature. Nature itself is also considered to be an accident with no controlling mind behind it. If that is the case, then why would we expect to find any patterns in nature? Suppose I draw something on a sheet of paper, and put a great deal of thought into it. We might reasonably expect that other people would recognize patterns in my sketch. They might learn something from it. But if I mindlessly scribbled on paper with no forethought, not even bothering to look at my work, would another person expect to discover profound truths in the resulting nonsense? In a non-designed universe, why would we expect to find patterns? How could there be any underlying unity between various locations? Would we have any reasons to expect that atoms in one region of the universe would have any similarity whatsoever to atoms in another region? Why would we expect them to look or behave similarly? In a chance universe, why would there be laws of nature that describe the systematic and organized way that everything behaves? And even if we grant that there are laws of nature, why would we expect them to be the same everywhere? What would account for such uniformity? Since conditions in the universe are constantly changing, why would laws of nature not be constantly changing? No one seriously doubts that the universe has order – that there are indeed laws of nature that describe patterns and cycles. The question is why would we expect this to be the case in a non-designed universe? How can we have laws without a law-giver? Someone might suggest that laws of nature are invented by people. But then we would have to ask why the universe feels compelled to obey them. Someone else might say that laws of nature are merely succinct man-made descriptions of the patterns we find in nature. But this merely pushes the question back: why does the universe contain patterns that can be succinctly described by unchanging, universal laws? To illustrate this principle, consider the topic of induction. This is the principle by which we infer an underlying pattern on the basis of observing many specific instances. Scientific experimentation is based on induction. For example, we observe that when we drop an object it falls at a particular rate. We could repeat this type of observation many times and find that the rate is always the same, regardless of the weight of the object. We then infer a generalization: all objects fall at the same rate at all times regardless of weight. Note that this generalization is not conclusively proved by our experiments. We have only proved definitively that the particular objects we tested fall at the same rate at the particular times we tested them. We don’t actually know that that will continue to be the case at all times in the future since we have not observed all future times. We don’t actually know that the pattern will work for all weights since we only tested a finite number. And yet, it does seem a reasonable inference. But why? Why do we expect that we can take a finite number of particular observations and then make an accurate statement about what will (probably) universally happen at all times for all things? What is the basis for our expectation that we can learn something about the entire universe by testing only one small part of it? The Christian worldview provides the answer. We know from biblical revelation that God has imposed order on and sovereignly controls the entire universe. He has organized the universe into patterns over both space and time. We can only observe particular instances at a particular location in space and at a particular time, never the universal because no one has observed the entire universe. But since God upholds creation in a consistent way, we expect that many of the particulars we observe are instances of a universal divine pattern. Based on the number and variety of specific instances, we can even estimate a probability that we have uncovered a truly universal pattern. Yes, probability is based on the premise that God has established universals in nature of which we experience only particulars. Of course, sometimes we don’t have enough particular experiences to draw a correct inference about a universal. A child born in Hawaii who has never traveled has experienced only warm weather. He might conclude that all weather is warm everywhere and at all times. But this generalization is based on too few specific examples. The child’s experiences are too limited to draw such an inference. This error is called a hasty generalization fallacy. The scientific method is designed to reduce the hasty generalization fallacy by testing many different particulars in a variety of different circumstances in a controlled environment. The scientific method presupposes that there are universal patterns, and that we can discover these by repeated experimentation. This view only makes sense in light of biblical creation. We expect universal patterns because God is sovereign over the entire universe and has promised us a degree of uniformity in the cycles of nature (e.g. Genesis 8:22). But apart from the Bible, no one has been able to rationally justify the expectation of universal patterns in nature. All people do believe in induction of course. But this shows in that in their heart of hearts they do believe in the biblical God despite any verbal professions to the contrary. In a chance universe there is simply no reason to expect any patterns at all, let alone universal ones. So when astronomers assume that the law of gravity works the same way in the Andromeda galaxy as it does here, they are tacitly relying upon the Christian worldview. But how might a critic respond? Someone might say, “Perhaps the universe just is that way. Perhaps the universe has universal patterns that make science possible.” But then we must ask the critic how he knows this. What is the critic’s reason for believing that the universe indeed has universal patterns? Simply asserting that the universe is a particular way is not the same as rationally accounting for that belief. Granted, the secularist cannot explain why the universe has any universal patterns, but he should at least be able to justify his belief in them. Rational people have a reason for their beliefs. A common answer will be: “The scientific method works, so obviously there must be universal patterns in nature.” This answer begs the question; namely it assumes the very thing it attempts to prove. The critic has tacitly assumed that the universe has universal patterns that science has uncovered. But how does he know this since he does not have universal experience? How does he know that the scientific method will work at all times and in all places, since he has not experienced all times and all places? The assumption that the particular successes of the scientific method indicate a universal appropriateness of the method is the very assumption of induction – that we can discover universal patterns by observing particular instances. Inductive reasoning is like this: “We know X works for particular cases A,B,C, so we predict it will probably work for all cases D,E,F,G…” This assumes an underlying universality of which A,B, and C are merely specific instances. So when I ask a secularist why he has any confidence whatsoever that the scientific method will work in future cases, he cannot answer this without assuming the biblical principle of induction. He might say, “We know the scientific method has worked for A,B, and C, therefore it will probably work for D,E,F,G.” But this assumes that God has imposed universal patterns on nature. Apart from the Christian worldview, there is no rational basis for believing in any universals at all. No matter how many particulars you observe, you just have particulars. There would never be any rational basis for inferring a universal from any number of particulars. Apart from the biblical worldview, every generalization would be a hasty generalization. There is a particular kind of induction that we rely upon every day and which all scientists use in their research. This involves reasoning from past experience to make predictions about what will likely happen in the future. Since God is beyond time and has promised us to uphold the universe in a basically consistent way over time (Genesis 8:22), we can often discover patterns in time. The apparent movement of the sun, moon, stars, and planets is one such example. Once you understand the pattern, you can make predictions about where the planets will be in the future, based on where they have been in the past. You rely on this principle everyday when you get out of bed. You presume that gravity will work the same today as it did yesterday. But how do you know this? The Christian has a great answer. God has revealed to us in His Word that He upholds the entire universe in a basically consistent way with patterns that we can discover; gravity is one such pattern. We have a promise from God (the only person who knows the future by His own authority) that the future will be like the past in terms of basic cycles. But the secularist cannot answer the question from his professed worldview. On what basis does he believe that gravity will work today like it did yesterday? Granted, everyone assumes this. But few realize that this expectation is only rationally justified in the biblical worldview. The most common answer that a critic will give is something like this: “Well, we know that gravity will very likely work the same way in the future, because it worked the same way in the past. After all, last Monday when we expected that gravity would work on Monday like it did on Sunday, we were right. Therefore, we expect that gravity will work tomorrow as it has today.” But this begs the question – it assumes induction as the sole basis for induction. That gravity was consistent in the past is not in doubt. But apart from induction those past experiences of gravity would be completely irrelevant to future experiences. Remember, whenever we make an estimate of what the future will likely be based on past experience, we are assuming induction. So to argue “induction will probably work in the future because we know it worked in the past” is assuming induction! The secularist is reasoning in a vicious circle. Some people might respond, “But secularists can do science.” Any critic answering this way has not understood the issue. 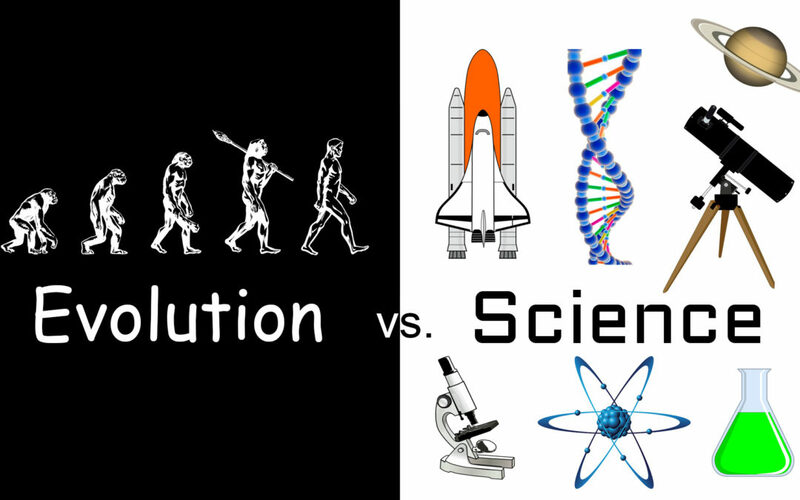 Of course secularists can do science… because the Bible is true. Science is based on induction which is justified only in the biblical worldview. So when secularists do science, they demonstrate that their professed worldview is wrong. Their professed belief system cannot make sense of what they are able to do. But the Christian worldview can. Of course, another answer that some critics give is simply to declare the issue a non-problem. “I don’t have to justify my beliefs. Maybe I cannot account for induction, but I can still use it and get along just fine in this world.” A child refusing to do his math homework might give the same type of answer. “I don’t have to answer these. They are not really problems at all.” Well, if you are going to learn math, then you must learn to solve math problems. If you are going to be rational, you must learn to justify your beliefs. The problem with saying “I don’t need to justify the things I believe” is that it is irrational. Children think this way. They don’t have good reasons for their beliefs. They believe that pulling the bedsheets over their head will protect them from the monster in the closet. They have absolutely no justification for these beliefs, and yet they get along just fine and have never been eaten by a monster. We expect such irrationality from children. But the point of education is to help people become rational: to help them develop good reasons for their beliefs and to abandon beliefs that have no good reasons. So to declare that you don’t need to justify your beliefs is basically to say, “I refuse to be rational.” Indeed, irrationality is the only alternative to Christianity. Another response from the critics is to say, “But we have to assume the reliability of senses and rationality of the mind in order to reason about anything.” Granted – but irrelevant. Students of logic will recognize this error as the fallacy of irrelevant thesis. It is true that we must presuppose the basic reliability of sensory organs and rationality of the mind in order to examine and reason about such things. But that is completely irrelevant to the issue of how we ultimately justify these things. Given that we must assume the rationality of the mind in order to reason, can we eventually (after the fact) justify such assumptions? Or is it simply a blind, unjustified (and therefore irrational) assumption? Rationality means that we have a good reason for our beliefs – including the belief that we have the capacity to be rational. Rationality of the mind presupposes that we can consciously consider the various options and then choose the best. But in the secular worldview, all our actions are the predetermined result of the chemical reactions of the brain, operating according to the fixed laws of nature. There can be no genuine choice in a secular universe, because chemicals have no choice but to react in the way they do. Hence there can be no rationality. The assumption of rationality and secularism leads to the conclusion that there can be no rationality – a contradiction. Therefore, either secularism is false or rationality is false. A corresponding analysis of other non-biblical worldviews leads to the same conclusion. Ultimately, we are left with two options: Christianity, or irrationality. The scientific method is predicated upon the biblical worldview in which we can justify our expectation that the human mind has the capacity for rational thought, that our sensory organs are basically reliable, and that the universe has underlying universal patterns that can be discovered through particular observations. These make sense within the Christian worldview. They are justified. But they do not comport with any other. In particular, we have seen that these preconditions for science cannot be justified in an evolutionary worldview. Science itself is therefore a reliable method for uncovering patterns in nature if and only if the Bible is true. Hence, the existence of science and its many successes is proof of the Christian worldview with creation as its historical foundation. So, which scientific discoveries prove biblical creation? The answer is: all of them.